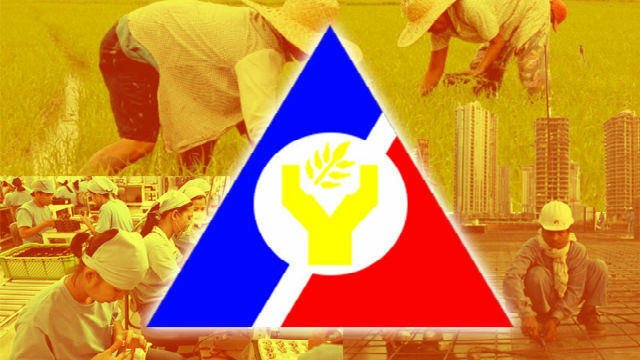 BAGUIO CITY – The Cordillera office of the Regional Tripartite Wages and Productivity Board (RTWPB-CAR) underscored that all daily minimum wage earners, regardless of status, are covered by the new wage order granting an increase in the prevailing daily minimum wage in the different sectors of the region. RTWPB-CAR board secretary Augusto Aquillo explained that daily minimum wage earners are covered by the wage orders issued by the wage board created under Republic Act (RA) 6727 that authorized the fixing of wages by the concerned wage boards in the region where they exist. He added that the basis of the prevailing minimum wage in the region pursuant to Wage Order No. 19, series of 2018 is the normal working hours of the daily wage earners which was pegged at 8 hours. The coverage of the wage hike decision of wage boards on daily wage earners was upheld by the Supreme Court (SC) over two decades ago wherein the RTWPB of Region II approved an across the board wage hike for all workers in the different sectors but the SC decided the case by stating that the jurisdiction of the wage board only concerns the prevailing minimum wage of daily wage earners in its area of jurisdiction. On the other hand, Aquillo emphasized that where effects of the wage increases provided for by the Order result in the distortion of the wage structure within an establishment, the same shall be corrected in accordance with the procedure provided for under Art. 124 of the Labor Code as amended. Under the latest wage order in the region, the proposed formula that should be adopted by employers to address wage distortion is the previous minimum wage based on Wage Order No. RB-CAR-18 times the prescribed increase equals amount of wage adjustment due to distortion. If the wage distortion will not be addressed by the management and employees, the RTWPB-CAR official disclosed the same issue will be subject to voluntary arbitration with the National Conciliation and Mediation Board (NCMB) while the matter will be brought to compulsory mediation with the National Labor Relations Commission (NLRC) if the problem will not be settled by the NCMB. RTWPB-CAR officials are going around the Cordillera to conduct various orientation activities regarding the implementation of the new wage order in the region that granted an increase of P20 to P30 daily increase to the previous minimum wage in the region that took effect last August 20, 2018. Aquillo urged employers in the different parts of the region to comply with the prescribed increase in the daily minimum wage of daily wage earners in the going to prevent them from being imposed stringent fines that will surely affect their business operations, thus, the need for them to simply apply the approved increase for the benefit of their workers.